"A School Beside Every Church"
"A school beside every church," This was the motto for our founding fathers. They felt that a school was of the utmost importance in assisting them to realize the responsibility placed on them by Psalm 78:5-7. Starting in 1883, the church building was used a classroom as well as a house of worship. This continued for 10 years until a new brick building was built in 1893 and used for twenty-three years. Then on November 6, 1916 a 40' x 50' two story brick building, costing $10,000 was dedicated. This building is pictured above. The current gym addition was dedicated in June of 1972. A self-supporting Pre-School was started in 1985. This Pre-School program has been an outreach to not only the West Point community, but also the neighboring towns of Beemer, Dodge, Howells, Bancroft, Scribner, Snyder, Oakland, Wisner and Lyons. Dirt work on our present building, began on the first day of school in August 2001. Monday, October 21, on the first day in the new building, a flag raising ceremony was held to mark the special day. The new school building is about 10,800 square feet and cost $1.3 million. St. Paul Lutheran Church, West Point, our home congregation, has declared its commitment to the Great Commission through its commitment to the proclamation of the Gospel to its young people through St. Paul Lutheran School. 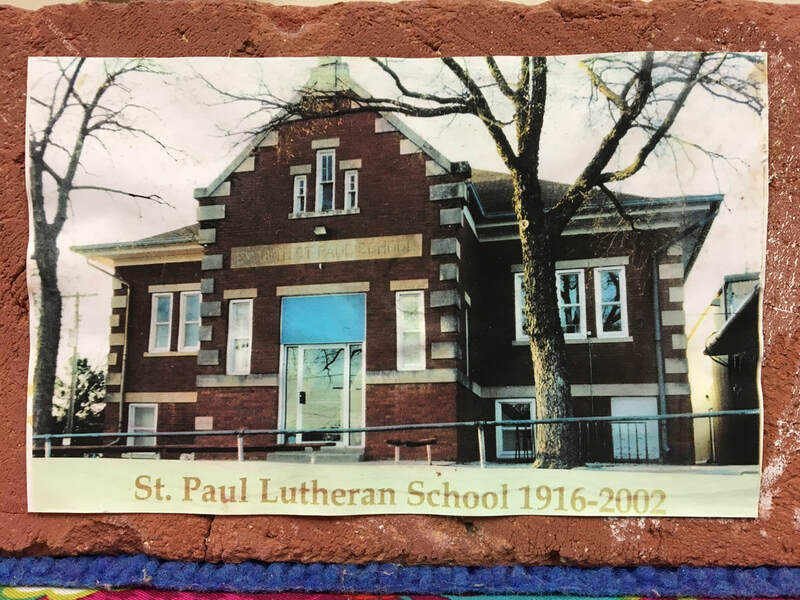 May the parents of St. Paul Lutheran Church make the fullest use of our Christian Day School in the years ahead, and God will surely bless us and our children, and make them a blessing to others. We invite you to come and learn more about our school please call to schedule a visit soon.